Among these international companies attending the exhibition, most of them are from America, Germany, Italy, France, Australia, Japan, China and South Korea. Russia has vast territory. It is not only a huge market with the rapid development, but also one of the countries, where the construction industry is developing rapidly. Nowadays in Russia the demand for construction equipment is growing, the number of delivered projects is increasing, the highways and oil processing plants are under construction, the residential and industrial construction is very active . To promote economic and trade cooperation, technical exchanges with the Russian business community and to further develop the Russian engineering machinery market, this year we will continue to participate in this exhibition. 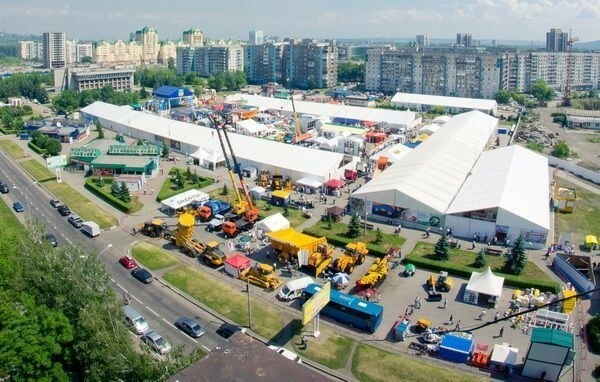 And Shanghai Zenith has always been paying attention to Russian International Mining Exhibition. In the previous exhibitions we not only learned a lot, but also won the trust of many customers and their orders. In this year Zenith will carry the latest products to meet the audience with more enthusiasm and offer visitors a visual and auditory feast. Shanghai Zenith is looking forward to your visit.